These duplexed business cards were printed as part of a larger suite of collateral we worked on for the Hattiesburg landscapers at Shade. Everything was designed by Whitney Miracle, and she picked out an awesome combination of Kraft-Tone papers from French Paper Company along with platinum and pale green foils. 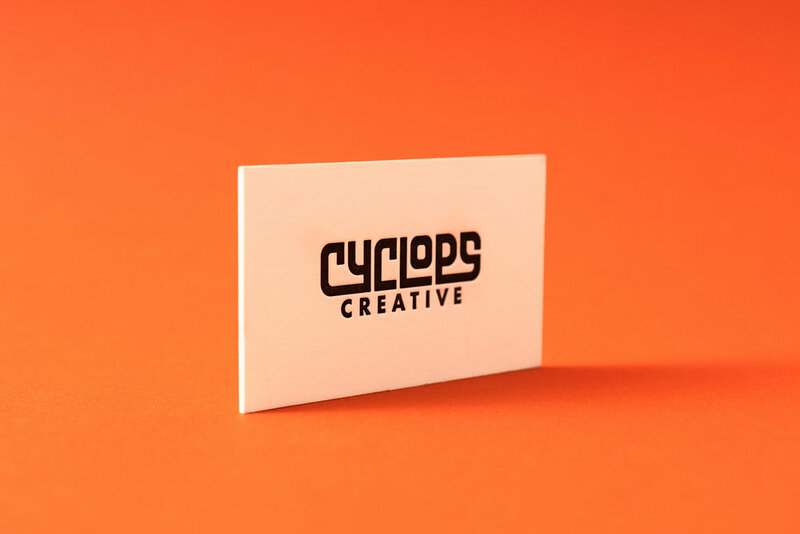 Posted in business cards and tagged with duplex, French Paper, kraft-tone, packing chip, carbon copy, green, apple, platinum, foil stamp, blind, tinted white, logo. April 18, 2019 by Travis Friedrich. 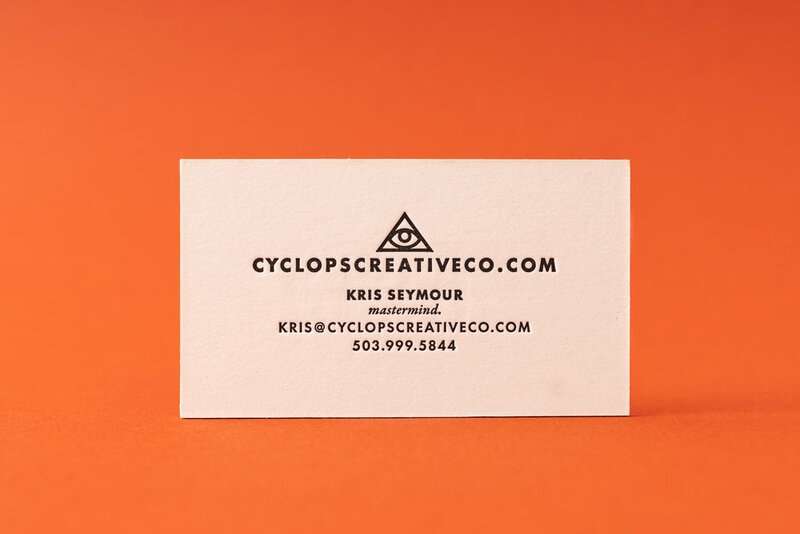 REALLY thick business cards for Kris Seymour of Cyclops Creative. We did two versions, one with black ink on Antique paper and one with silver ink on black. Posted in business cards and tagged with rising museum board, antique, black, silver, two-sided, graphic design, logo. March 28, 2019 by Travis Friedrich. Four ink runs per side (!) plus two different colors of edge paint. 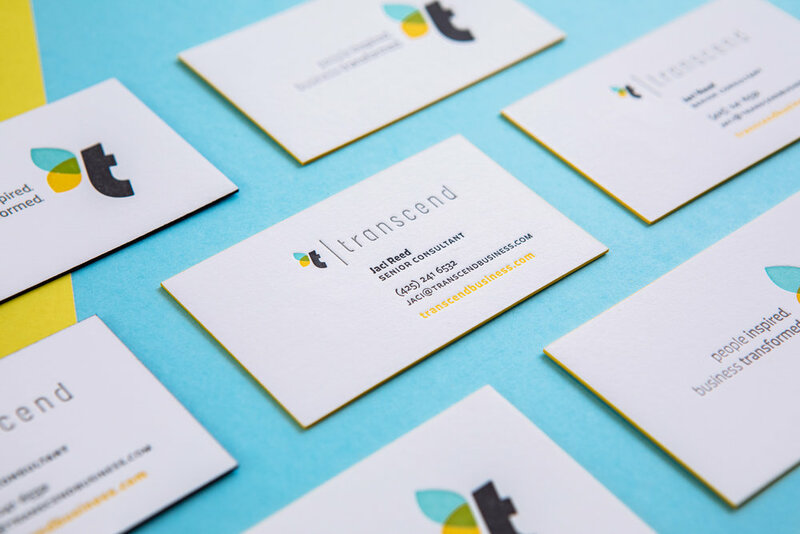 Posted in business cards and tagged with logo, fluorescent white, overlapping colors, edge painting, two-sided, 600g. March 14, 2019 by Travis Friedrich. 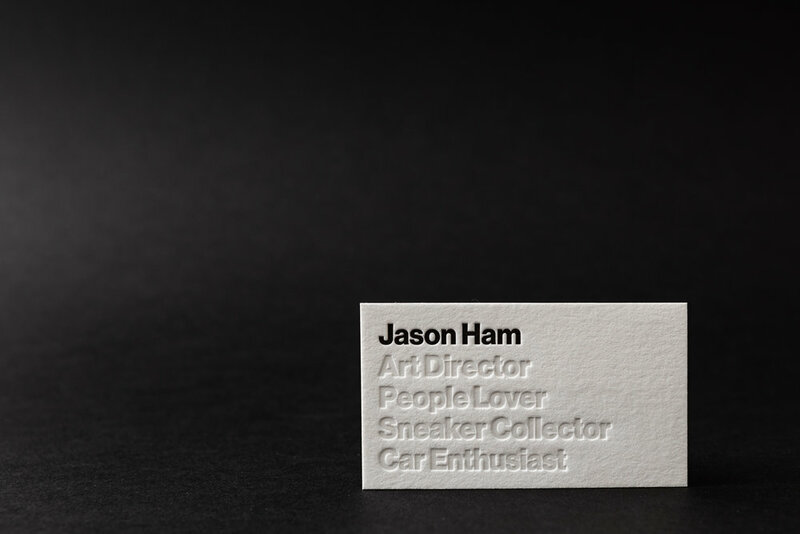 Wonderfully simple business cards for Jason Ham. Designed by the client and printed by us. 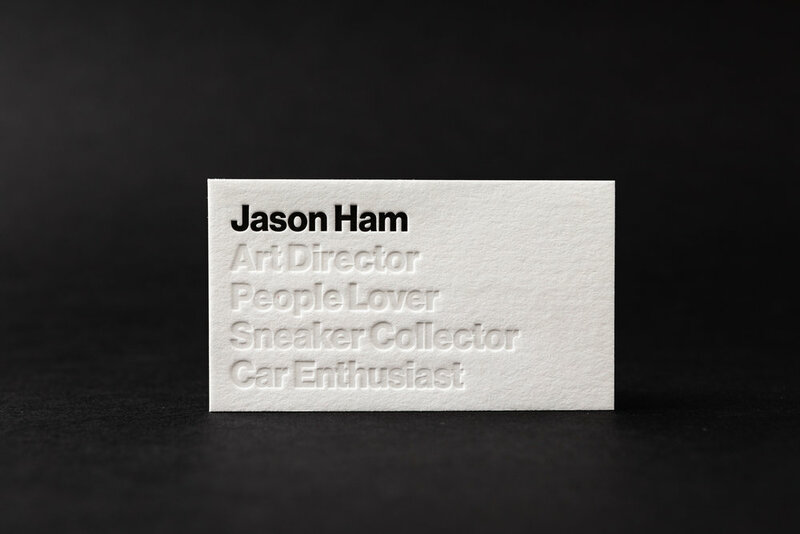 Posted in business cards and tagged with black, white, fluorescent white, tinted white, blind, 600g, helvetica, type. February 28, 2019 by Travis Friedrich. I never get tired of tonal ink on Colorplan paper. This one's for Kelley of Barrett Ford Jewelry. 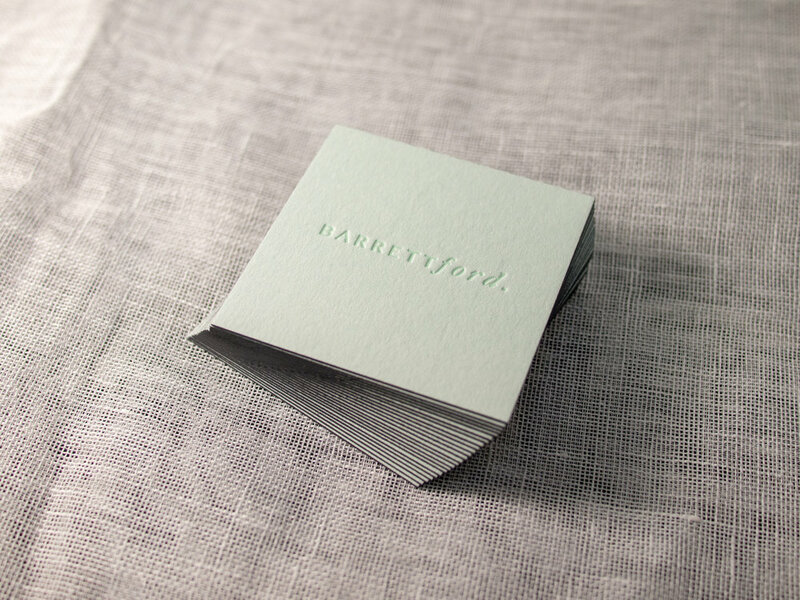 We printed this little square business cards on 540g stock (not too thin, not too thick) with tonal green ink and gray ink, then finished them with gray edge paint. 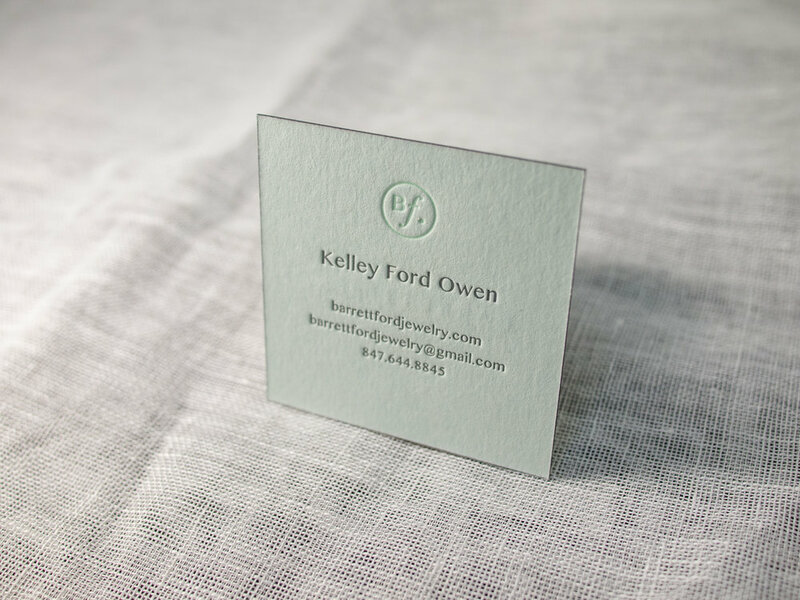 Posted in business cards and tagged with green, Colorplan, powder green, square, Slate, tonal, edge painting, logo. August 16, 2018 by Travis Friedrich. Beautiful two-sided punch cards for Iron Works Coffee at the Graduate Athens. Letterpress floods like this can be really tricky! 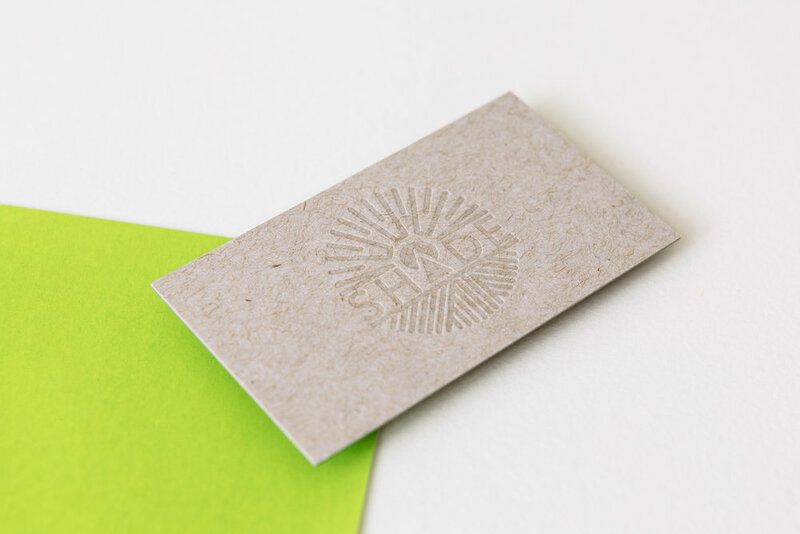 But they're easier on chipboard, especially if the design lends itself to an organic, imperfect vibe. Posted in business cards and tagged with black, chipboard, two-sided, logo. August 9, 2018 by Travis Friedrich. Thick foil + letterpress business cards, duplexed after printing for zero impression show-through. Plus matching stationery on thinner 300g cotton stock. 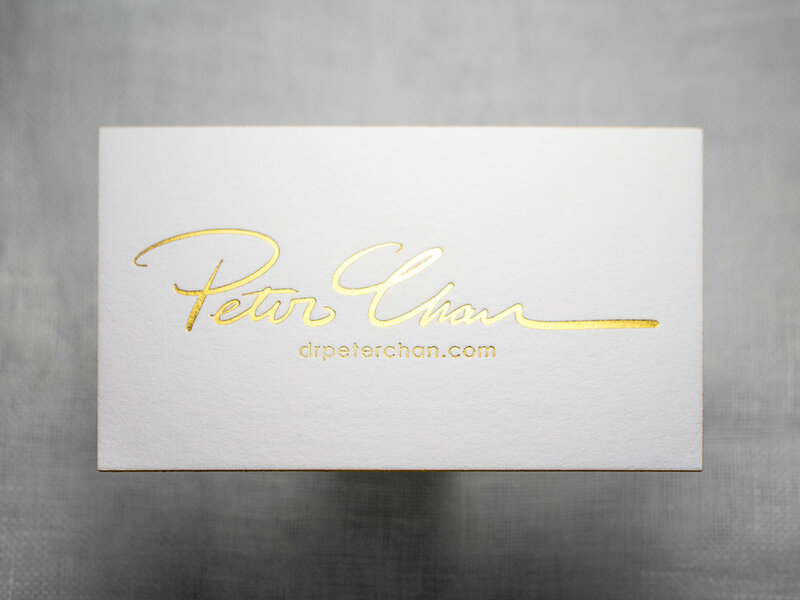 Posted in business cards and tagged with gold, foil, edge painting, black, fluorescent white, 600g, 300g, stationery, logo, duplex. February 1, 2018 by Travis Friedrich.